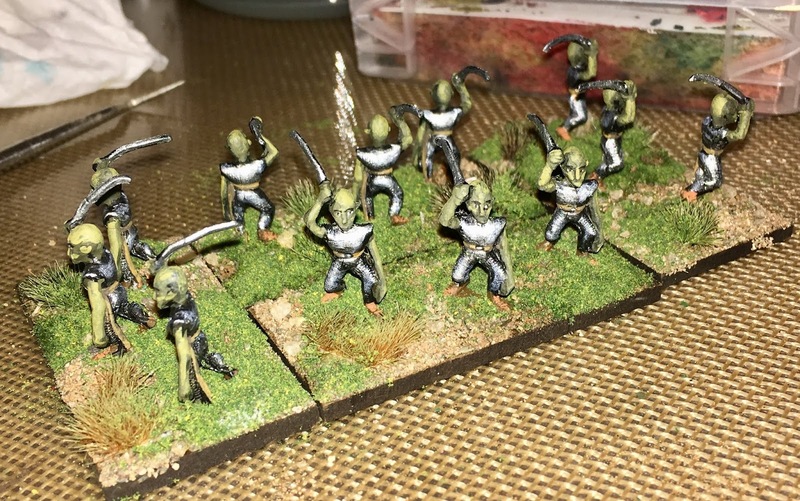 Painting — 1/72 NPCs and Minfig ME Figures | H.A.W.K.S. 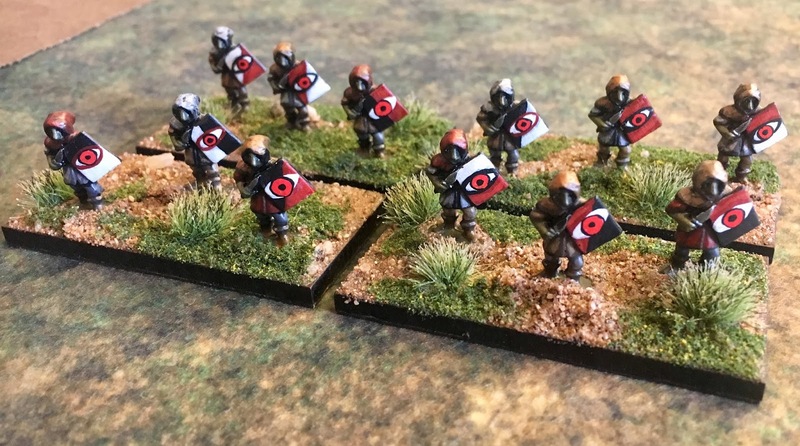 Some of these may have been shown in the last post, but here are the 1/72 figures I have recently finished, for use with the Portable Fantasy set-up. The elf banner bearer is a Caesar Miniatures figures; the remainder are all from the Linear B Age of the Tudors set. The other project that I am getting back to is the Minifig ME (Mythical Earth) battles. I dusted off this mostly complete unit of “true orcs” and finished them up on Monday, which was a holiday. Even without a battle, I pressed ahead on the painting today, and painted these goblins in an extended sitting. Allowing the glue to dry on the basing treatment took as long as the painting, but at least they are done. I cleaned up and primed the next dozen, so the Orcs of the Misty Mountains should have some choice in their order of battle next time. I don’t recall when I last got a unit finished in a day, so February will have been a good month gaming-wise, whatever else does or doesn’t get accomplished.